OMAHA, Neb. 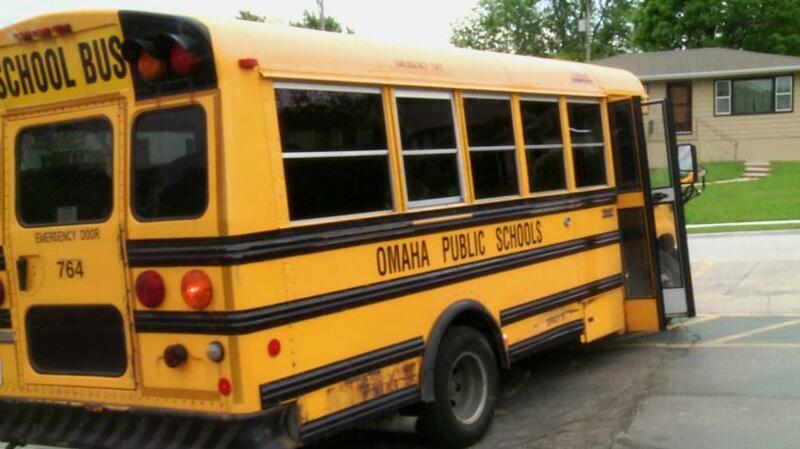 -- Omaha Public School’s Board of Education voted 6-2 to accept a bus contract bid with Student Transportation of America Monday night. The bid was estimated at $20,612,726.83, and the contract would be between August 2019 and August 2023 with two one-year contract extensions built in. The board listened to a presentation detailing the bids and looking at numbers from STA and another company, First Student. First Student, though, put an estimated bid that was about $5.4 million more expensive. The proposed contract comes with it key changes like a contract with NorthEnd Teleservices, exterior bus camera, bus tracking application and liquidated damages. The NorthEnd Teleservices contract would allow for temporary phone support for schools and parents. All contracted buses currently have three cameras inside buses, so an exterior camera would be located on the front of the bus. It would allow for video to be taken outside of the bus for use in crash investigations or to see students crossing in the front of the bus. The bus tracking application is for student’s parents and guardians along with administration. It’s called, “Here Comes the Bus,” and would allow those with access to see when buses are coming near a student’s stop and when it arrives at school. Liquidated damages would be fees to be charged to STA for what the district said would be lack of service or other infractions of the contract. For example, STA would be charged $500 if a driver receives a speeding ticket or is operating the bus while impaired. STA would also be charged $1,000 if a student is left on the bus. Board members were able to ask questions about the presentation, and two board members, Ben Perlman and Lou Ann Goding showed some concern. Goding is concerned the contract term is too long. Bus routes could be changed before the contract is finished, so she voiced concern the district would be paying too much for routes that change in the future. Goding also voiced concerns about seat belts costs should legislation be passed requiring seat belts in buses and the high cost of special education transportation. Perlman brought up the sub-contracts STA would have with the app company “Here Comes the Bus” and NorthEnd. Both Perlman and Goding voted against the contract bid. The board will now negotiate certain terms of the contract in hopes of finalizing it soon.